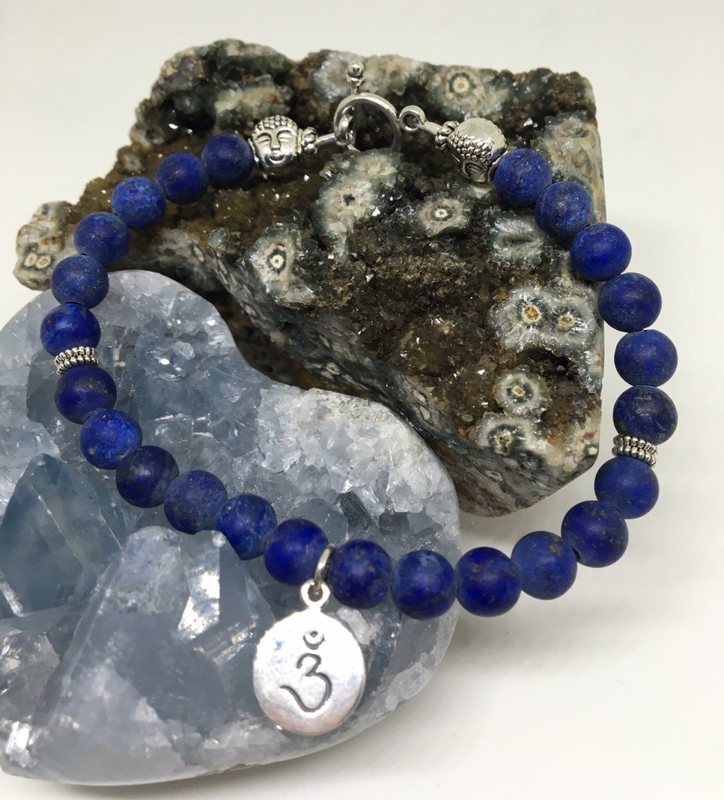 Healing 6mm Matte Lapis third eye chakra bracelet with sterling silver crown chakra charm, Tibetan silver buddhas, findings and silver toggle. 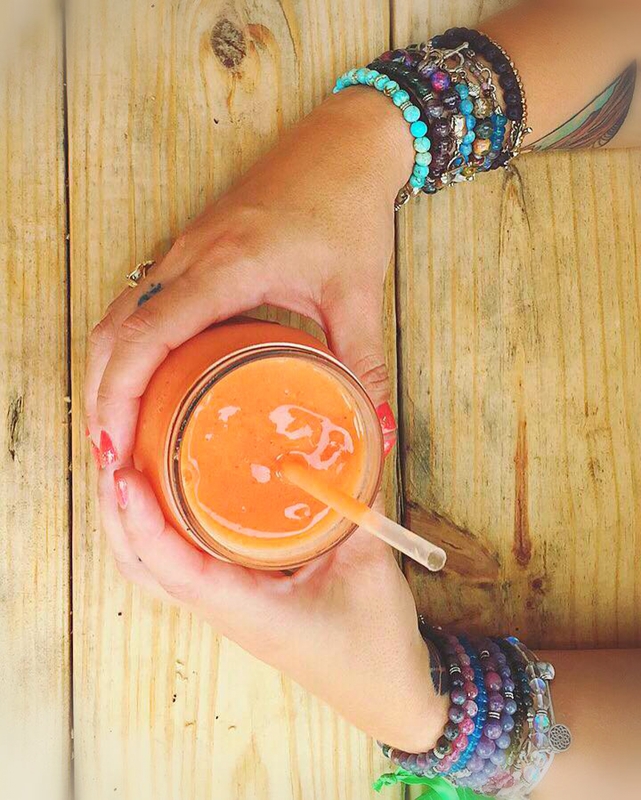 Created by Certified Vinyasa Yoga Instructor, Reiki Master and Crystal Healer. The third eye chakra, or ajna in Sanskrit, is the energy center located between the eyebrows. 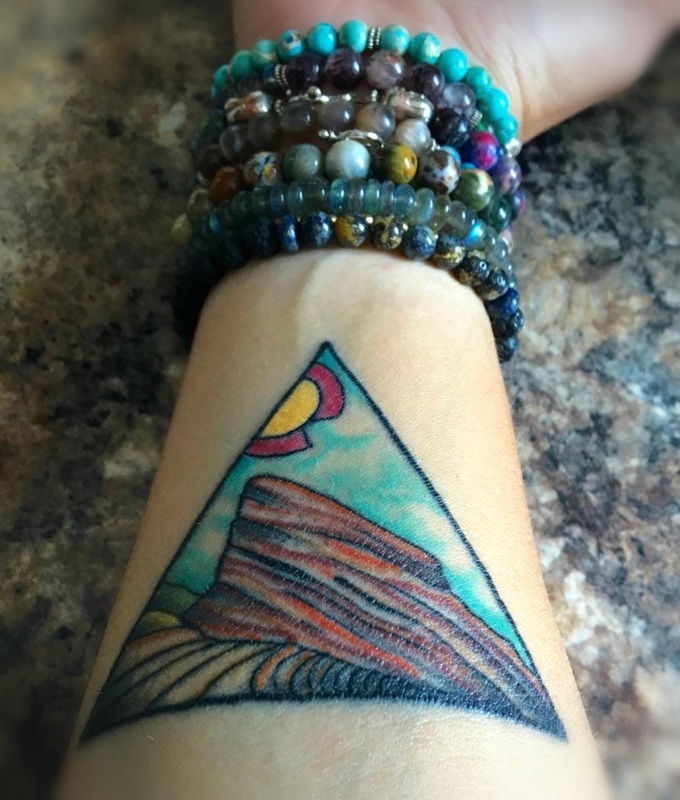 It is the center for intuition, finding connection with our inner realms and higher consciousness. 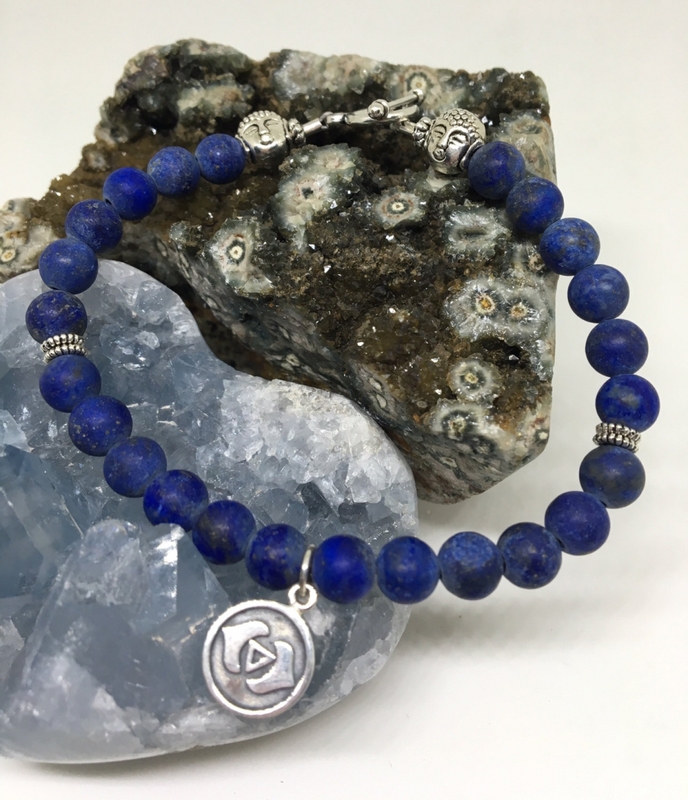 Lapis Lazuli opens the wearer to increased intuition and insight. Standard size 7 1/2" in length. Made with high quality stainless steel wire, Tibetan Silver Buddhas and toggle. Stones may vary.